I'm pleased to present the latest in our series of interviews with great martial artists. Today I'm talking with Roy Dean, Brazilian Jiu-jitsu black belt and owner of Roy Dean Academy in Bend Oregon. Patrick Parker: One of your distinctive calling cards seems to be a smooth integration of aikido and jiu-jitsu. Do you have a lot of students pursuing both aikido and jiujitsu or do these two arts seem to attract different types of students? 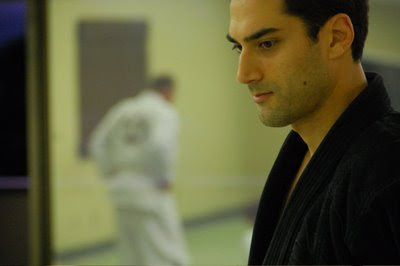 Roy Dean: The influence of Aikido on my BJJ, and vice versa, is undeniable to me. Currently, I only teach Brazilian Jiu Jitsu, but I allow an Aikido instructor to lead classes in the Academy for his own organization. Many arts can be a complement to BJJ, and Aikido is definitely one of them. While there is always overlap in the kind of students each art may attract, if I were forced to generalize, Aikido tends to attract a more white collar, older demographic than BJJ. I originally thought that my Academy would bring in hot-blooded 18-24 year old males in some kind of Ultimate Fighter frenzy to learn the art, but I've been surprised by the number of members in their 30's, 40's, and even 50's that are joining up and embracing the discipline. Aikido is often thought of as a retirement martial art, a graduate school for old judoka and martial artists interested in movement and subtle body mechanics. If you create the right kind of environment, BJJ can also serve that function, allowing older warriors to share the mat and grapple down with the younger generations, exploring movement and techniques while balancing it with healthy resistance levels. One thing to note, however, is that Aikido tends to attract and retain far more female students than BJJ. Not everyone is comfortable with the closeness that ground grappling requires, and I understand that some may never truly get past that required distance. Pat: Could you expand a little on what kind of environment is the right kind to allow diverse populations (women, kids, 50 year-olds, etc...) to learn and enjoy both ground grappling and aikido as the 'graduate school' of martial arts? Roy: The proper training environment is not difficult to create. Let’s start with the physical space: It should to be clean. Proper padding. You need enough room to roll freely without obstructions or the risk of landing on something. Music can easily be incorporated. A defined beginning and ending to class can help align the energy of the group, and ritual can be important for focusing the mind. Delving a bit deeper, attitude and vision are integral to attracting a diverse population to train. Get rid of the meatheads and the guys that never give in training- they only take. 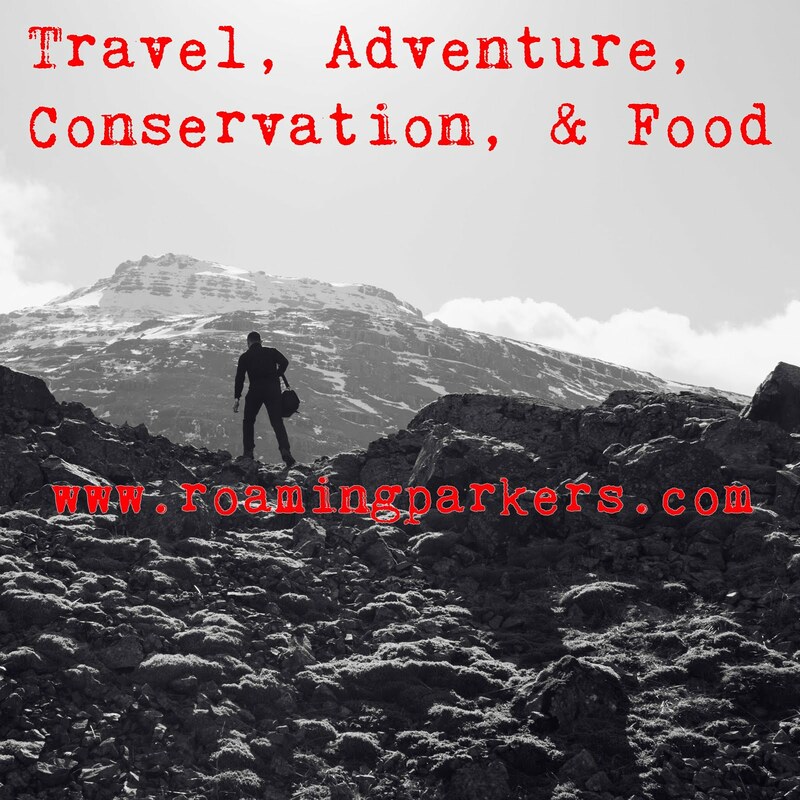 If a person can’t adhere to gentleman’s rules while grappling (clean techniques only, no neck cranks, no fingers, etc), and let people into the game, then there are other places that are better suited for them to pursue their interests. I will open the door and wish them luck on their new path. A student who is unable to moderate their intensity is not only a danger to others, they are a distraction in class and a deterrent to new students. Watch carefully. Create the right environment and people from all walks of life will be attracted to the transformations that take place at the school. Pat: What sort of difficulties have you had trying to communicate BJJ concepts to aikido folks? 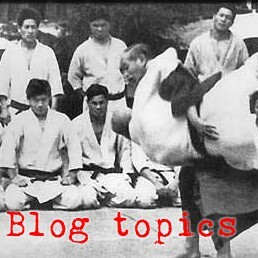 What problems have you seen the aikido instructor have getting the aikido ideas across to the BJJ guys? Roy: The difficulty of communication between the arts is not really based on specific techniques or principles that are difficult to convey. The greatest obstacle is recognizing the utility of the art itself! Aikidoka tend to make the assessment that jujutsu, in any form, is inferior and devolved in comparison to Aikido (Aikido is a descendant of Daito Ryu Aikijujutsu). 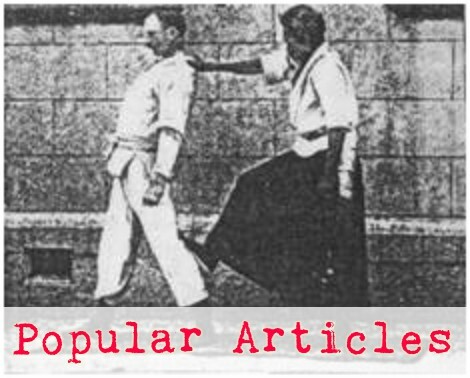 BJJ practitioners tend to dismiss Aikido because of the non resistant training methods and inability to transfer the techniques to an MMA and competitive environment. Both sets of budoka should feel the arts for themselves, and not rely on their eyes alone. Eyes will deceive you. Feeling is believing! Pat: What do you make of the apparently declining popularity of aikido, as seen, for instance, on Google Trends? Why is that happening and what could be done to reinvigorate aikido? Roy: To me, it begins and ends with media exposure. Royce Gracie and the UFC put BJJ on the map as a required discipline for professional mixed martial artists. It's effectiveness in its range is undeniable. People see that and want to learn how to do it themselves. Steven Seagal brought a huge new segment of the population to Aikido (myself included), and made it look exciting, powerful, and very direct in its application. .
Today, it's unfortunate that many people don't have a positive impression of Aikido, but I can understand why. Demonstrations look too cooperative and rehearsed. Correlations between rank and applicable skill are not always accurate. Some segments of the Aikido community have emphasized the philosophy over martial prowess and the art has lost some teeth in dealing with realistic resistance levels. "True believers" in the art aren't helping in this process, as they sometimes claim that Aikido can't evolve, it's already perfect, and relies on universal principles that are somehow higher than those utilized by other martial arts. Since it's founder, Morihei Ueshiba, defeated all comers, then some believe that's proof enough to keep training another 10 years and effectiveness will suddenly materialize, even if evidence is scant so far. I think the key to "saving" or reinvigorating Aikido lies in shifting perspective, not necessarily changing the art. I would recommend cross training and observing Aikido from another shore. Train Judo and see how Aikido's emphasis on kokyu and structure affect your gripping strategies. Train BJJ and understand how Aikido's emphasis on ukemi and rolling skills lets you use your opponent's momentum against themselves on the ground, turning your body into a ball to deflect their attacks. Train boxing and learn to slip and parry attacks from an expert in punching, chaining together evasive manuevers off the line of attack in real time. There is ju or yielding in all of them, so the key may be in allowing Aikido students to discover the pockets of aiki that exist in other fighting forms. Training an art like Daito Ryu Aiki-jujutsu Seibukan Jujutsu, KoKoDo Jujutsu, or another traditional Japanese Jujutsu system would also allow Aikidoka to see where their techniques came from and how they've evolved. The art of Aikido has already evolved since it's inception into several styles or factions, including Tomiki, Yoshinkan, Yoseikan, Ki Society, Aikikai, Iwama, and so forth. We shouldn't worry about what is or what is or isn't "real" Aikido. There is a Buddhist saying I've heard that applies here: "The minute something is born is has already begun to die." I'm not only thinking of Aikido here, but also BJJ. BJJ is still growing, but it will decline in time, and other arts will supplant it. Arts that are evolving right now. MMA is a good example. MMA was born from vale tudo, but is a different art now as the number of rules and rounds have fueled changes. MMA will have it's rise and fall and transform into something else. All things do. If we have to learn arts of war to enforce the Art of Peace, then so be it. That doesn't necessarily indicate a flaw with the art or in the practitioner of the art. It's simply what needs to be done for deeper understanding, and should be viewed as another extension of training. Embrace the evolution. You'll be better prepared for what comes next! Pat: You got your start as an exchange student in Japan learning judo at the Kodokan! What was that like? I'm sure you have 1-2 favorite stories about that time in your life. Roy: I did begin my training in Japan studying Kodokan Judo. It wasn't at the Kodokan, rather it was at my high school near Nagoya. Judo is more like wrestling here in the US, ubiquitous in their culture and widely practiced. I had the chance to compete regularly and earned my shodan by age 17. Judo is an incredible foundational art, and if viewed through the right lens, I can see much of my training since as extensions of Judo. I'll never forget my first experience on the mat. I joined the after school Judo club, and after completing 6 weeks of ukemi practice, I was finally allowed on the mat for randori. When matched up with the team captain, Ichikawa, I attacked with fervor- only to be suddenly staring at the ceiling thanks to his fast uchimata. I got up and repeated this process over and over again. He impressed with my fighting spirit, and I was astounded by how powerful the art was. True direct experience. There was nothing I could do to stop the throw, and even though I didn't know exactly what he was doing, whatever it was, I wanted to learn it! Another notable moment came from attending the community dojo where they held open training sessions. The undisputed king of the mat was a 6th dan named Igami Shoten. He took a liking to me and allowed me to bounce off his chest in vain attempts to throw him during randori. Then he would lay down the hammer. A really powerful man. Even today, if I put together both of my hands, it might equal one of his. Eventually, I began training at his private dojo as well, taking group classes with him thanks to my Rotary Club and benefactor, Mr. Natsumi. It was here that the master played rag doll with me to conclude a training session. Fighting spirit is very important in Japan. They like to see it and cultivate it in their warriors. That was a good lesson. Pat: We've had some discussion on my blog and on others about the competition rules in judo leading to a decline in interest in judo. One of the points brought up was whether or not an ippon should or shouldn't end a match. What do you think? Should competitors be allowed to proceed to groundwork even after one of them has executed a truly masterful throw? Roy: I recall being thrown in Judo and thinking "But wait! The fight's not over!" And in another context, say BJJ or MMA, the fight has really just begun. So take away the ippon and what do you have? BJJ. Rules influence the behavior of the participants. If anything, I would realign competition with Kano's original vision of 2 out of 3 matches, rather than a single decisive point. Or, another point system where throws are more heavily weighted (say 5 points in a race to 15), osaekomi would also be similarly weighted, but instead of stopping the match, it would reset it. Submissions are an automatic 15 points. I think that would be a more exciting Judo format to watch, and create a more well rounded skill set in the athletes. Pat: Other than adjusting the sport rules, what do you think would have to happen to realign all of modern judo (not just the sport) with Kano's original vision? Roy: I think that Kano’s original vision of taking the best techniques of jujutsu ryu’s into a comprehensive body of knowledge is still valid and necessary. The future is not about separation, but integration, and hybridization of martial techniques. We may call these motions different names, and at their core they’re all the same. The principles and of pushing, pulling, turning with timing, and using smart angles with strong leverage are universal and timeless. I think the arts would be well served if there were large training halls that hosted a variety of separate martial disciplines (i.e. Judo, Aikido, BJJ, Tai Chi, Yoga, etc), which facilitated cross training opportunities. Or better yet, we could forge stronger friendships with martial artists of other styles, and help shape the changes that are inevitably coming to these arts. Pat: Roy, I really appreciate your taking the time to talk to me about aikido and judo. It's too bad we live 2400 miles apart, I'd sure like to be able to train with you. I've enjoyed our talk and I'm sure that my readers will too. Great interview, thanks for doing that. Lots of stuff to think about. Glad you liked it, guys! I got a kick out of it. What pat did y'all think was the coolest? BTW this is Mark from the sorely neglected "Bunkai Blog"
I love what you are doing with your blog.